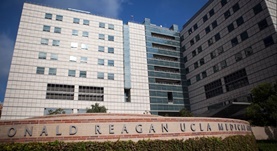 Dr. Dorothy Park graduated from the David Geffen at UCLA and completed her residency program at the VA Medical Center. 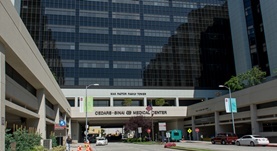 Then, she did a fellowship at the Cedar-Sinai Medical Center. She is specialized in Medical Oncology and board certified in Hematology and Oncology. Dr. Park has been in practice for more than 20 years and is affiliated with the Cedar-Sinai Medical Center and the Ronald Reagan UCLA Medical Center. During her career, she has also contributed to 9 research publications. Dr. Dorothy Park has contributed to 3 publications. Emergence of Enterococcus species in the infectious microorganisms cultured from patients with endophthalmitis in South Korea. Kim HW, Kim SY, Chung IY, Lee JE, Lee JE, Park JM, Park JM, Han YS, Oum BS, Byon IS, Yun IH, Yoon HS, Park D, Jeong WJ, Yu BC, Park I, Bae T, Nam KY, Lee SJ; Infection. 2014-02-01. High-normal free thyroxine levels are associated with low trabecular bone scores in euthyroid postmenopausal women. Hwangbo Y, Kim JH, Kim SW, Park YJ, Park DJ, Kim SY, Shin CS, Cho NH; Osteoporos Int. 2016-02-01. Prospective, randomized and controlled trial on magnesium sulfate administration during laparoscopic gastrectomy: effects on surgical space conditions and recovery profiles. Ryu JH, Koo BW, Kim BG, Oh AY, Kim HH, Park DJ, Lee CM, Kim ST, Do SH; Surg Endosc. 2016-11-01.